It’s actually a bit of a travesty that we even have to introduce Jeff McDonald to you. In a just world, he would already be recognised as one of the best pop writers around. He is in fact one of the founder members of the brilliant band, Redd Kross. A band who have released consistently brilliant albums and somehow always managed to side step finding the huge commercial success they are due. This solo album is just being released on vinyl, but was actually recorded between the two Redd Kross albums “Phaseshifter” and “Show World”. 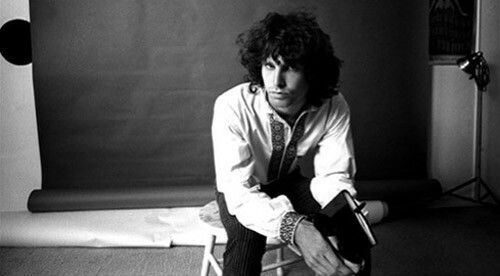 Jeff’s distinctive voice and trademark sixties vibe are immediately present on the laid back opener “To You” and songs like “What’s The Matter Now”. Whilst “Follow The Leader” will already be known to Redd Kross fans. This version will just have you thinking of mini skirts and go-go dancers. We’re on to a grungier sound, like Redd Kross adopted on Phaseshifter, with “Streets Of Shame”. Well, that’s until it goes down a rabbit hole of psychedelia and feedback! Indeed, together with “Straight Lookin’ Genie” you get the sense that these might have been tracks that the major labels would have pushed back on if presented as Redd Kross songs, when they were originally written. In contrast, “Sandstone Engine” is a classic, sweet, pop song that could have been recorded by The Monkees. That ability to produce great, sixties flavoured, pop numbers like “Pleasure Seekers” and “Getting Back To You” is a gift that Jeff McDonald has. So few artists can create the pure indie pop sound of “I Don’t Mind” without it turning in to some kind of pastiche. The whole thing then ends with the glorious glam pop of “Third World Hustle”. It’s a song that could have appeared on Third Eye (our favourite power pop album of all time). Although, it would’ve been at risk of a law suit from Marc Bolan’s estate! Unsurprisingly, this is a great album. Redd Kross fans will absolutely love it and will already have it as a must buy. If you’re not a Redd Kross fan – what the hell are you doing?!? We suggest that you immediately buy this and then their entire back catalogue. You can then thank us for introducing you to one of your favourite bands ever! Liked some Redd Kross tunes, but wasn’t familiar with Jeff McDonald. This review definitely has me interested, though. I’m a big Monkees fan so will definitely seek out ‘Sandstone Engine’. Though you make the whole album sound great. Added to my list of albums to check out.